From cradle to preschool, nurturing little ones is an important part of overall health. In early stages of childhood, physical growth and brain development are both highly influenced by the nurturing level received. When young children feel safe and secure, their behavior often reflects those feelings. 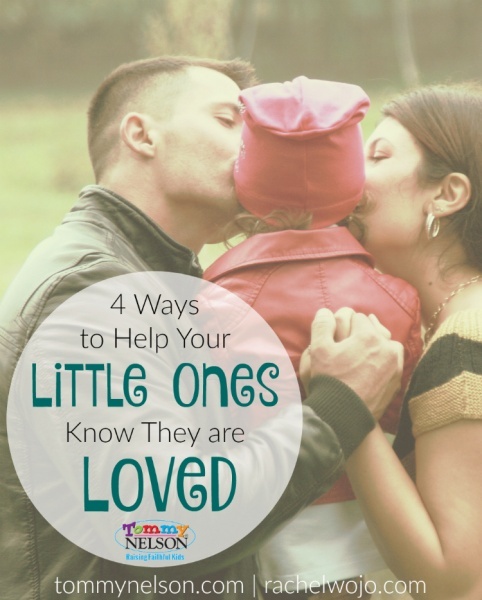 Today I wanted to share 4 ways to help your little one know they are loved. While these ideas may seem simple, they are all great reminders to secure a well-loved feeling in your children’s heart and mind. I’ll never forget the helpless feeling I had when my daughter was born, as she was immediately whisked away to be resuscitated. I can recall almost every word the doctor said as we stood over her incubator. “Be sure to touch her through the sides of the incubator as often as possible. When she feels your contact, this will be stimulating and nurturing to her.” Continuing to hug and hold your little ones, even as they are growing up, will help them understand just how much they are loved. Look them in the eye when speaking to one another. In the age of more Facetime than face-to-face time, it’s easy for a little one to miss out on seeing mom’s or dad’s face. Giving eye contact to young children creates a sense of focus. When we love someone, we love to focus on them solely, without distractions. Getting down on a child’s level and peering into their eyes can do wonders for both parent and child! Pause to say “I love you” at unexpected times. Nothing says “I love you” more than baking a batch of chocolate chip cookies together. And in the middle of the ordinary baking, pausing to say a few words like “You know what? I think you are the best chocolate chip cookie baking helper in the whole world. I love you so much!” Stopping to give words of affirmation in the middle of routine activities is a wonderful way to encourage your child’s heart to feel loved. Take time to enjoy close teaching moments during activities. Working on an art project? Try a hand-over-hand demonstration before independently working. Learning how to hit a ball? Help hold the bat. Have your child stir the batter as you stir, working together. All these seemingly small moments will unite to make a huge impact and provide a wonderful understanding of love and security for your child. Helping young children begin to comprehend your love is one of the greatest opportunities of parenthood. 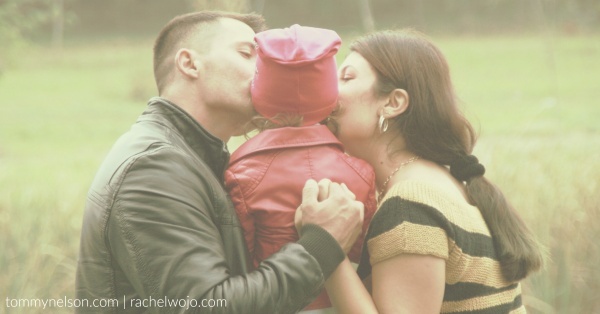 The love we provide as parents is the earthly example of the love of their heavenly Father. 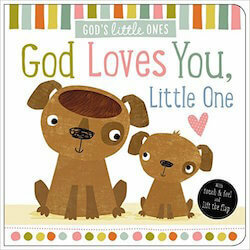 This kind of love is so sweetly expressed in the new book, God Loves You, Little One. To know God’s love through parental example is a precious gift we have the power to give our children! Which of the tips above as a great reminder for you today? This entry was posted in Blog, Tommy Nelson and tagged Babies, Children, God Loves You, Little One, Love, Parenting, Preschool, Show Love, Toddlers by Rachel Wojo. Bookmark the permalink.